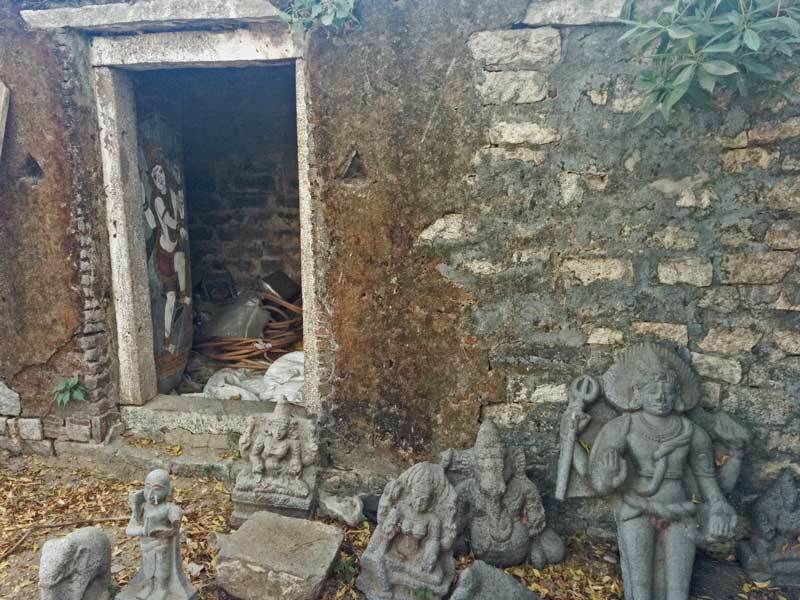 There are lot of Siva temples especially, Thevaram Padal Petra Sthalangal (274 in number ) wherein, the temples are in such a pathetic and very poor financial condition that there is no money even to buy oil to light the Lamps nor to buy flowers for the deities. Once during a visit to a remote Sivan temple Mahaperiva was distressed to see that the temple lacked funds even to light a lamp. He desired that the devotees should come forward by some means to contribute for oil to light 'deepams' in the Shivalayas and no temple should go dark without lights. With the blessings and intention of fulfilling at least a fraction of Sri Sri Mahaperiva's wishes, the following bagavat Kainkaryam has been intiated by a small team of like minded devotees. 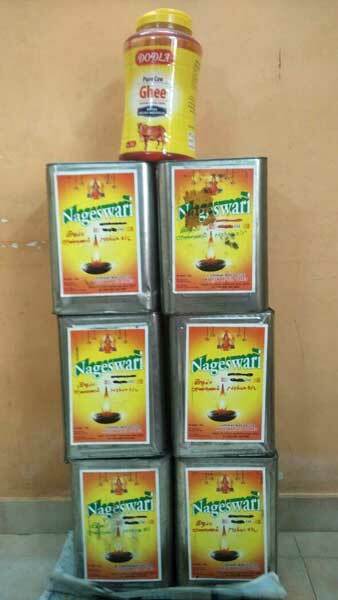 This kainkaryam is to give oil in tins (Each 15 ltrs.) to light the lamps in the temples. This kainkaryam has been started with Maha Periva blessings and is being done for the past two years. As on date there are about 40 devotees participating in this kainkaryam. The devotees send their contribution to the below mentioned bank account. Some meet us in person and donate cash. With this money collected, the team purchases Oil tins, visit the temples and give it to the priest or kurukal. This is “Yatha Sakthi” (as far as strength allows /as far as possible) contribution. We receive contribution right from Rs. 100 to Rs.1500 per month. Every month we are serving around 12 to 15 temple.So far we have given 240 tins of இலுபெண்ணைய் & served around 170 temples. We are giving இலுபெண்ணைய் (Illupannai) to the Siva temples. 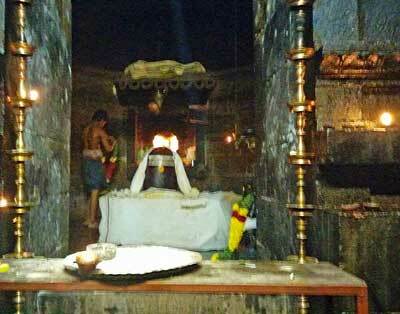 It is very sacred to give இலுபெண்ணைய் (Illupannai)to Shiva temples. A tin of illupannai costs (15 KG) about Rs.1100/ and lasts for about a month for one temple. Munkudumeeswarar (Nearly around 1500 yrs old temple. swami has Kutumi in His forehead)near Chengalpattu. The temples are not restricted to Chennai alone. We go throughout Tamil Nadu. We have completed giving Oil for Padal Petra Sthalams in Trichy, Madurai , Thanjavur, Kumbakonam & Kanchipuram. Not restricting ourselves to Shivalayas alone we also go to Sri Narayana temples.We give one tin of ghee ( 15 KG) to Lakshmi Narasimhar temple at Narasimhapuram in Poondamallee – Arakonam Road and Ulagalanda Perumal at Thirukovilur. If you would like to contribute, you may remit the amount you feel to the bank account directly. If you can make it through ECS, it will be hassle free for you. From our side, the team assures you that the money so collected will be used only for the above said noble cause.